The Glasgow Rocks are a professional basketball team based in Glasgow, Scotland. Every athlete on the Rocks roster has been wearing Athos gear in training, practices and games to monitor internal load to better understand individual performance. 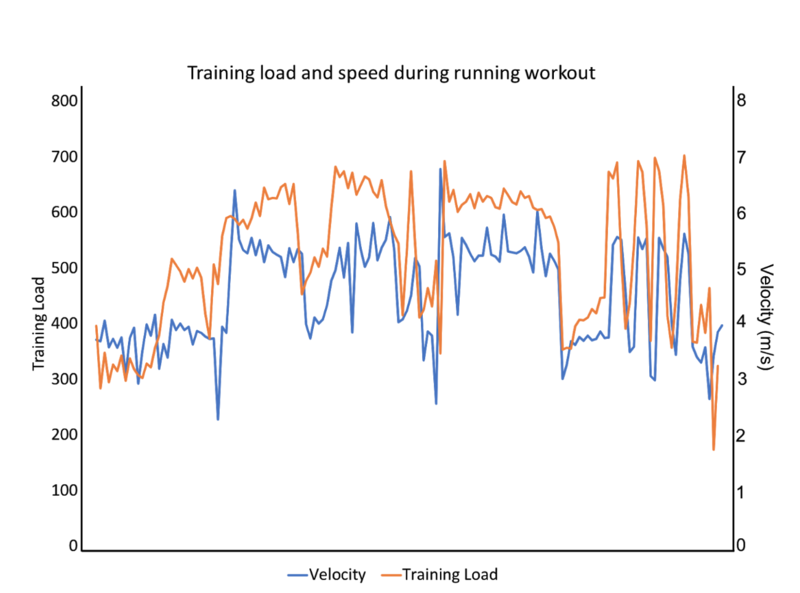 By looking at the entire team’s training load, their Sport Scientist, Kurtis Finlay, has been able to identify when there’s an athlete that needs special attention. 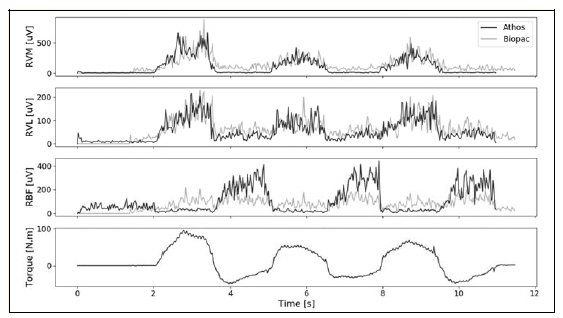 He then analyzes the why to inform programming and load management decisions. Kieron, the oldest on the roster and captain of the team, has benefited from Kurtis’s weekly reports. Athos revealed a massive imbalance Kieron was battling. Since this surfaced, they’ve been able to make adjustments to prehab this issue before it became an injury keeping Kieron the healthiest he’s been during a season throughout his career. Learn more about how Kieron has benefited from these muscular stress insights as well as why he feels that having his entire team in Athos gear is a competitive advantage. 1. Since using Athos in training and performance, what issues have you been able to identify? To start, something I love about Athos is that powerful visual of real-time biofeedback. Seeing the way my muscles are firing is amazing. I immediately saw that there was some imbalance between my left and my right glute. Historically, I always seemed to get issues in my right abductor so the Athos data helped me to analyze what was going on. Now with Athos, I’ve actually gotten to see why that problem was arising and it was because my left side wasn’t firing the same way when I got fatigued. So for me, it was just getting to visually see the way my body was moving and then trying to fix things so I can correct movements and ultimately prevent injuries. 2. What decisions did your trainers make after identifying that issue? It’s funny because we always kind of kept a scorecard kind of thing before. For example, we said how hard we were practicing and so forth and that wasn’t that successful. So when I said, “I’m tired, I feel this or that,” it was not until I saw absolutely everything in front of me on Athos live-view that I was able to see this. Kurtis, our Athletic Trainer who’s working with us, was essentially saying like “Look, at Kieron here and do you see what’s happening? You’re getting tired here, you need to rest.” He also put together a workout plan to try and help me eradicate those imbalances in my body. 3. What went into that workout plan to eradicate those imbalances? It was mainly to do with my posterior chain. It was more work on what we call preventative rehab. It was basically a lot of deadlifts and really anything to do with posterior chain. Specific arabesque stretches and what not. It was a lot of things that I’ve known about but I never really took seriously. I’ve got a 15 minute workout before every practice that I do to make sure my muscles are firing the right way, which has really helped me because I can feel it. You know people tell me do this and that, but until you actually see it, it really doesn’t click. I’ve tried a lot of different things in the past, in fact we had a GPS based system before, but this was the first visual technology that allowed me to see the way my muscles were actually working and in real-time. That was really an eye opener for myself. 4. How has your body felt since you’ve identified and addressed these issues? It’s been great. I’m one of the older guys on the team, in fact, I am the oldest guy on the team. I’ve been playing for a lot of years and there’s times that you feel your body is breaking down. But this year, because we’ve been able to use Athos to identify my weaknesses before they became injuries and then analyze the data to make decisions around adjustments I needed to make, I’ve been able to stay healthy. I’ve really worked hard on them and it’s actually been one of my busiest seasons yet. I also play for the Great Britain National team and I play for the Scottish national team, I’ve had tournaments and really no breaks at all. So to be fair, for not having any breaks and not having any injuries during this season, that goes to show you that Athos has been a great addition for me. 5. If you had to tell a new rookie on the team about Athos and the value it provides, what would you tell them? This is one of the things as a professional athlete that I know, which is that it’s very hard to get buy in. Players never believe they need anything until they’re hurt. Obviously, being one of the older ones on the team, for me it’s all about longevity and how long I can last and that’s kind of what I would preach to a rookie. Like ok, maybe you’re not hurt at this moment and time, but you can maybe start to see things that will help your game and that’s how you have to sell it. It’s not about just preventing injury, as a professional athlete you don’t really buy into that until you’ve really experienced it, but then it’s too late. But if you talk about how this can actually help improve your game, and how it can help improve your vertical jump, how it can help do these sort of things, that’s a different way of thinking and I think that’s the enhancer for a lot of the younger athletes. Looking at how much this can improve your game, if you can improve one or two percent, like with your speed, quickness and agility or whatever it may be, that’s the competitive advantage you need to make it to the next level. 6. Do you trust that by using Athos you’re going to have a competitive advantage? I wholeheartedly agree. We are very fortunate in our situation to have complete access to a Physical Therapist and we’re very fortunate that Kurtis is here. But having Athos, it’s a real competitive advantage. Like I said, most people react to certain things, so this is actually being one step ahead and identifying things before they happen. You can see how your body is working, how it’s moving and not only that, you also get what you put into the game. I think the next thing for us as far as data analysis, will be actually looking at what’s going into wins and losses because I think once you start tapping into that you know how hard you can push people in practice in order to get that real competitive advantage. Like you know when you’re hitting this target, you’re going to win more games than you lose. That’s a really important data set. Figure: This graph illustrates Kieron Achara&apos;s workload across Dec & January games. The graph illustrates workload and intensity to be much greater during the Newcastle game on the 1/12/2017. Intensity appears to drop against teams when we are substantially ahead in points, which is expected (White et al., 2014). Overtime, and thus with more data, this shows promising results for comparison of intensity across games and outcome. 7. What’s your favorite thing about the data that Athos provides? I just love being able to look at my practice straight away. Sometimes I say, “Wow! I’ve done everything ok like my left glute and my right glute look very well balanced.” It’s seeing the transition between when I first started off seeing the imbalances in my body and now working on that, having it being corrected. I can see it visually while I’m actually reaching the targets I want to reach. 8. How often are you looking at your Athos data to help to inform your decisions? Kurtis works with me every week and provides feedback. He’s the first to tell me, “Hey, have you been doing your exercises?” He really stays on top of that for me which is so great to have. It’s a valuable addition to the team. 9. Does Athos interfere with your day to day at all? It’s simple enough to use. What I have seen, and this is the same when we did Catapult and other technologies, is that it’s one thing when you have Sport Scientist working for a team they only work when there’s buy in from the Coach. That’s the only way, so if the Coach believes in it, he’ll find the time to make sure everyone’s set up. But if they don’t believe in it, it gets very, very tricky because there’s constantly conflict. So I’m very fortunate that with our team at this moment, we’ve had a coaching change and our new Coach is 100% all in with Athos and just Sport Science in general. 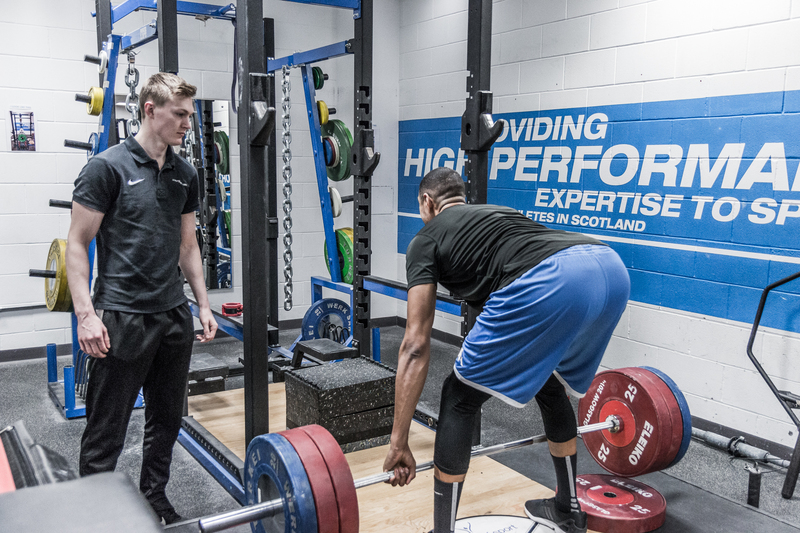 A lot of coaches are sort of dismissive with it which is very conflicting but I’ve been on a lot of teams who’ve used things in Sport Science and when you get the buy in from the main man, that makes a difference. 10. Are there any metrics or ratios that you like to track most? For me, essentially, I’m just looking at my body and the way it moves at this time. Kurtis has dove deeper into the games that we’re very successful in and looking at the work that’s been put into that. Subconsciously, that’s in the back of my mind even when I’m playing or in practice, I’m making sure I’m actually giving it my all because everything is getting monitored at all times. So it’s not like I can take plays off because the results will show that. I think subconsciously it actually helps you train a little bit harder because as an older player, a veteran player, it’s very easy to take some practices off and cut corners but when that’s actually getting watched and analyzed, it’s kind of a motivator to me. 11. If you played for another team, is Athos something you’d advocate for? To give you a perfect example, I’ve already done that with my national team. I’m on the Great Britain team and we used to have Catapult before and I have to say Catapult has nothing on Athos. Athos is a level above that. The Catapult stuff was good but this is a lot more specific. I would definitely recommend Athos. I already have with my Great Britain squad, and that’s something they’re looking to explore once they’re funding comes in as well. 12. Knowing your teammates are in Athos gear, does that give you confidence that they’re all working as hard and smart as they can be to put you guys in the best position to win? Yes, it’s a reassurance. I know that if someone’s at risk of injuring themselves, we’ll be able to identify it a lot quicker. The two points for me is I have the confidence that guys are getting challenged and there’s accountability because Kurtis can literally see if you haven’t been working hard or if you have been working hard. My thing is, if you’re working hard, you have to be working smart. So you need to know the body is working the way it should be working. A lot of people when they get really tired, it’s normal to say ok I’m going to ease off because your body is not working the way it should be. But if you have reassurance that your body is working the way it should be, you’re actually not as fatigued as you think you are, it gives you a lot more to strive for and I think that’s one of the strong points of Athos. We have that reassurance that we’re getting looked after. Big brother is watching you and they’re making sure you’re healthy.